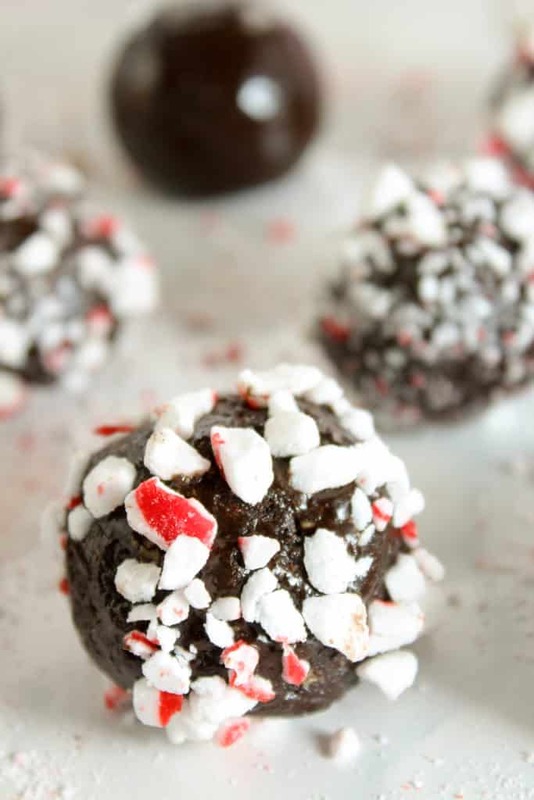 If a peppermint mocha latte met a chewy, high protein, energy bite you’d get the recipe for these super easy chocolate treats! It doesn’t take more than a handful of ingredients to make them. And, you might have them all in your house already. 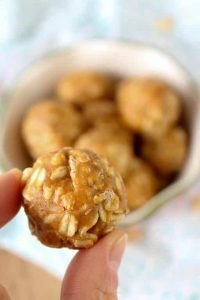 So, in the time it takes you to read this blog post, you could have yourself the perfect, portable holiday snack! This week was the first time we had winter-like weather here. I’m not a huge fan of freezing cold temperatures. But, it does help with the “holiday feel” of things. Unlike at Thanksgiving when we were walking around in short sleeve shirts! But really, if you’re looking for a quick, no-bake, holiday treat, this is it! The bites are rich, smooth, and chewy, and kind of truffle-like in texture. They’re like little bits of chocolate drops from heaven! But, there’s also a subtle hint of coffee. Good for that extra energy boost needed around this time of year. 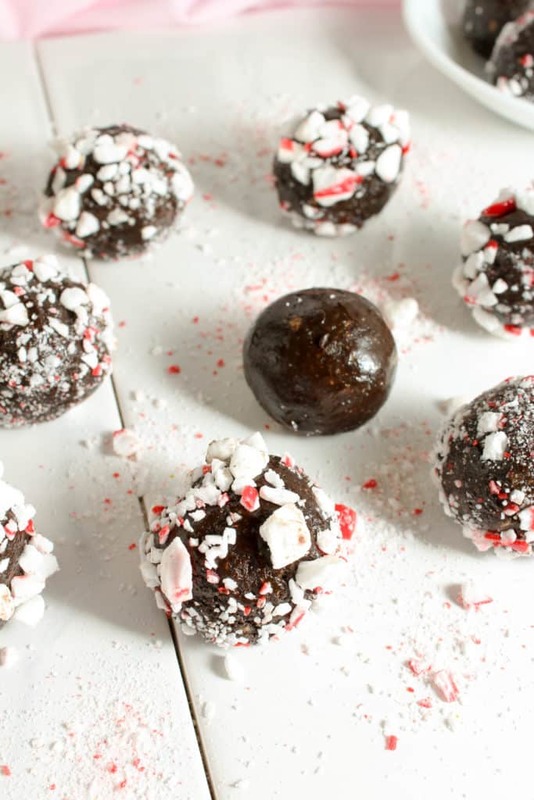 Not to mention, classic holiday peppermint flavor is all over these protein energy bites. Literally! 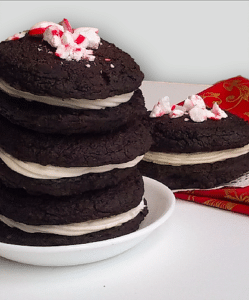 Crushed peppermints coat the outside of these chocolate-y goodies. Not only do you get the flavor, but the contrast in crunchy texture with the chewy bites makes these goodies extra special. Although, if you want to make these for some kiddos, or just aren’t a huge fan of coffee flavor, you can definitely leave the coffee out. 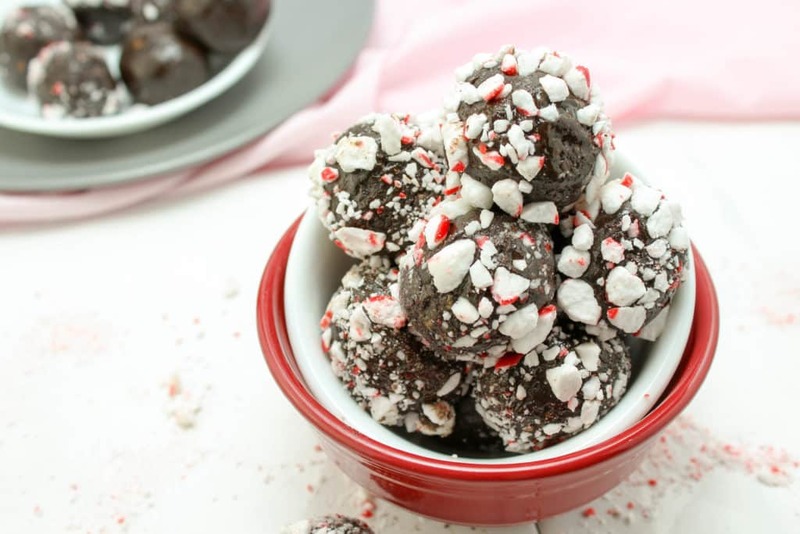 These peppermint mocha protein energy bites will still be just as delish! And, who doesn’t like getting food for a present?! Wrap these up in a cute little tin box and you’ve got the perfect holiday gift anyone would love to get! In a medium sized bowl, stir together the protein powder, agave, almond butter, cocoa, instant coffee, and peppermint extract until well incorporated. You could do this in a food processor. Place the dough in the fridge for 15-20 min. to firm up slightly (this will make it easier to roll into balls). While the dough is firming up, crush the peppermints into small pieces. You can do this by placing them in a ziplock back and hitting them with a rolling pin, or placing them in a food processor (which I found was much easier). Pour the crushed peppermints into a small bowl. Remove the dough from the fridge and roll 1 Tbsp of dough into balls. Roll the dough balls into the crushed peppermints until coated. 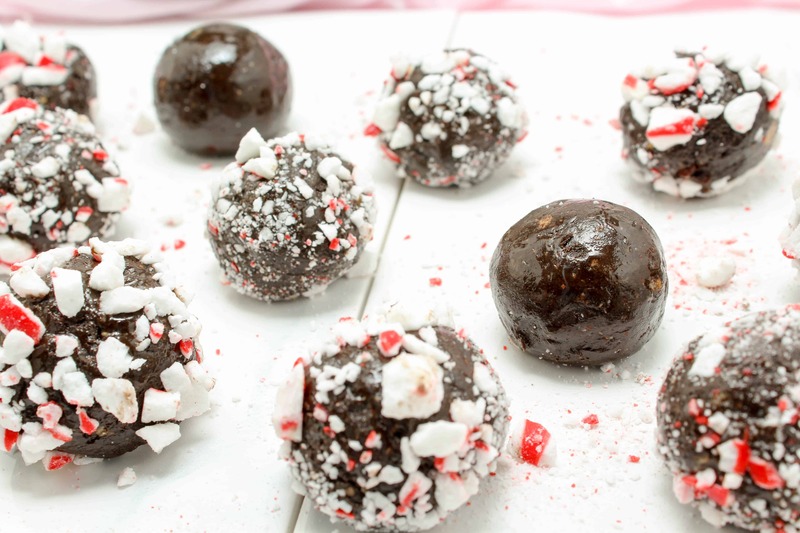 Place the peppermint coated balls back in the fridge for 10-15 min. to firm up again. Pop those bites in your mouth and enjoy!